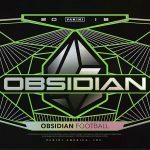 Blog Homepage \ Product Preview \ Product Preview: 2018 Hit Parade Football Autographed Goal Line Art releasing September 14th! 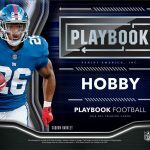 Starting off the new NFL season, Hit Parade has shared details on their inaugural Goal Line Art Cards series with us. Attendees of the Pro Football Hall of Fame will immediately recognize these beautiful art prints on 4×6 heavy quality stock by artist Gary Thomas! They are reproductions of the artwork as seen in Canton itself but Hit Parade have taken them to the next level with the addition of an autograph on each! 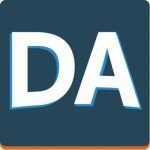 Let’s take a look at what to expect upon release. 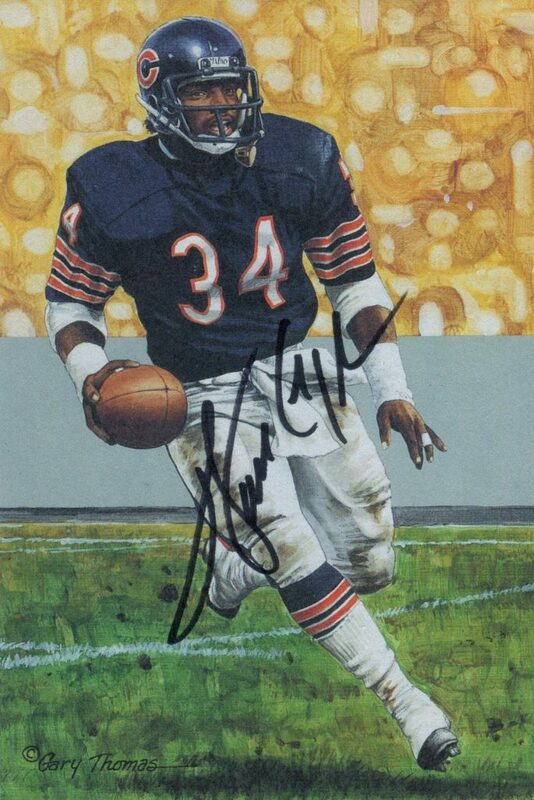 This inaugural series is headlined by a very rare Walter Payton autographed Goal Line Art Card as well as a very scarce card of the late Red Grange! 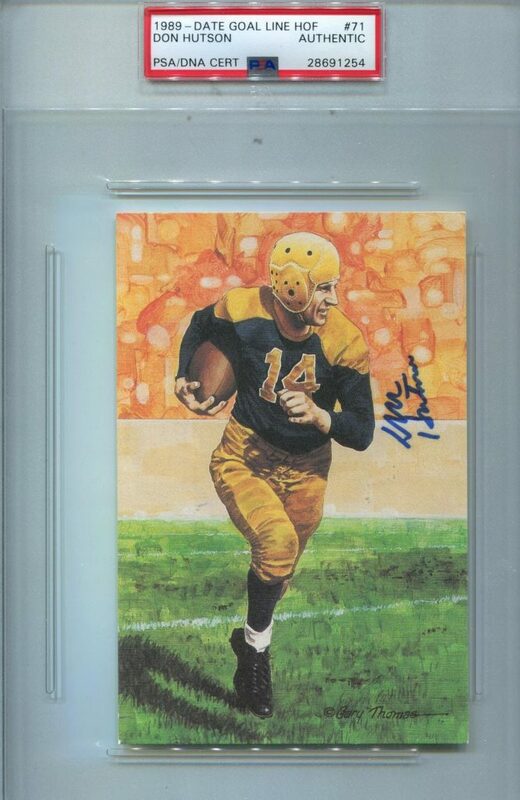 There is even autographed card from 1963 charter enshrinee….Don Hutson!!! 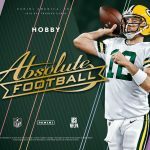 There are 200 hand numbered boxes in this first series with each guaranteed to include an original authentic autograph from a Pro Football Hall of Fame member across various eras! 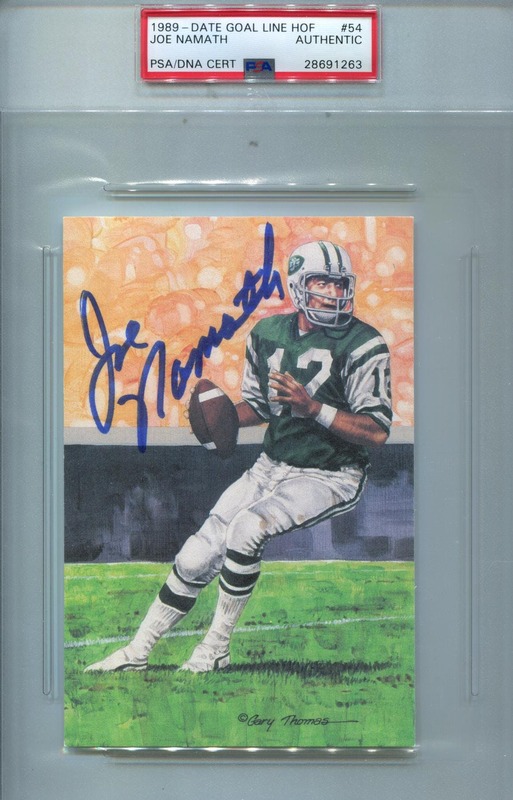 Every autographed Goal Line Art Card is authenticated by only the most credible companies in the collectibles industry such as Beckett, James Spence, PSA/DNA, and SGC. 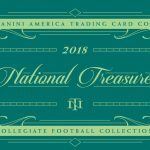 2018 Hit Parade Football Goal Line Art Cards are poised to make a big splash when it releases in two weeks. 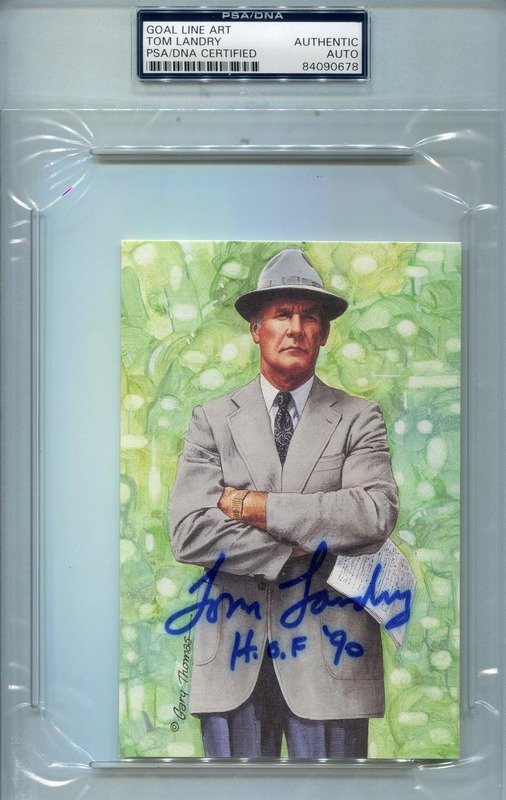 This is a great way for collectors to fill in gaps in their Hall of Fame autograph collections or, if you are just starting out, to get a bunch of legends of the game right away! Lock in your price today, boxes are now up for pre-order on our website! 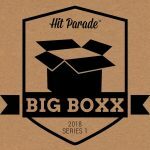 2018 Hit Parade Autographed BIG BOXX Series One releases February 16th! Hit Parade Graded Comic Edition is back with Spider-Man Series 7!